Astrologers describes here vastudosh and its remedy for home. You can do this remedy, remove vastudosh and get happiness and prosperity. Following are such tips for decorating home. 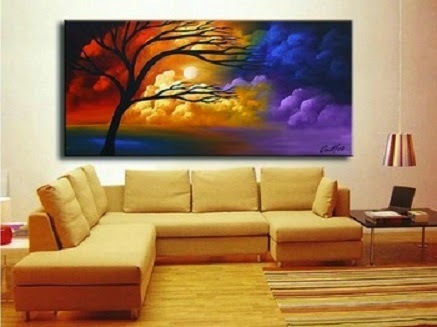 Let us know which type of painting should be kept in home. 1. Dark colors decay positive energy so you should keep light color pictures. 2. Do not keep war or conflicts pictures. 3. Do not keep crinkly and gloomy face paintings in the home. 4. Do not keep violent animals pictures. It is not considered as good. 5. Do not keep Pani Nauke or twist or tools painting in the home. 6. Do not keep those painting in which there are evil or have that atmosphere. 7. Do not keep dreary garden, marsh or relating to that scenery painting. 8. Do not keep dirty, poverty or terrible pictures in the home. 9. You have to change old paintings. Because it increase the negative energy. By keeping above precautions you can avoid negative energy.